A four day circus extravaganza heads to Nuns Moor Park Thursday 1st June, on the 130th anniversary of the park’s founding in 1887. There’ll be all the thrilling fun of the circus, but none of the animals or scary clowns one might have had in 1887. Circus In The Park will feature the premiere performance of Arthur’s Odyssey, a piece of circus theatre which weaves a classic Greek story with a little-known tale of the fortunes of local department store head, Arthur Fenwick, who ran away with a circus for six years, before returning to Newcastle to run the family business. 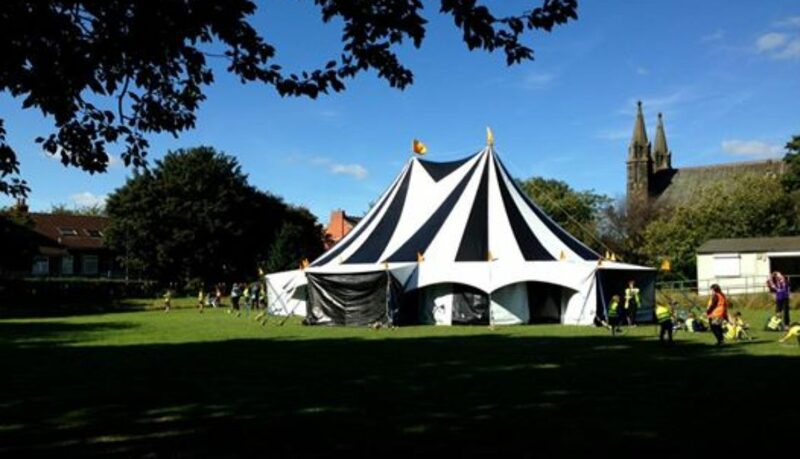 Circus performances will take place in the black and white Magpie big-top tent, a mobile 270 seat arena which will remain a feature of the park for the four day festival.